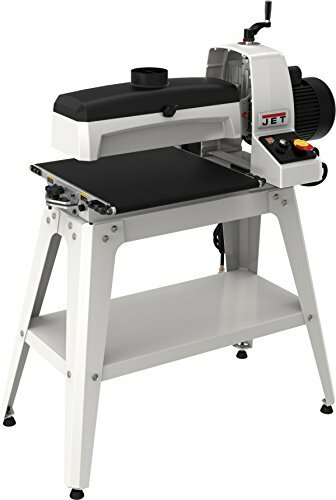 Introducing the newly redesigned 16-32 Drum Sander from JET. The innovative tool-less parallelism system keeps adjustments simple. The worktable is easily positioned by a turn of the parallelism dial. The variable-speed rate permits you to choose the optimal feed rate for a full range of projects, while the Sandsmart feature continuously monitors the load on the drum motor to prevent an overload situation. The mirrored design of the dust hood optimizes dust collection preventing chips and dust from getting between your work-piece and the finish. The JET 16-32 Drum Sander delivers everything you need for an effortless finish. Dust hood includes an integrated channel that mirrors the shape of the drum and directs chips and dust to the 4 collection port"